Let’s be honest: not everyone should work together. And that’s okay. I only take on new clients when I know that I can deliver real value. Otherwise, we’re both wasting our time. Some consultants tend to jump in, even when they perceive that there may be a mismatch between their skill set and the client’s goals. In my opinion, it’s best to be honest about where your strengths lie, and how your client will benefit from the relationship. In that spirit, I’ve put together a list of situations where I know we’re likely to run into issues. If anything I’ve mentioned below gives you pause, then perhaps you’re not quite ready to work with me. You’re satisfied when you’re playing by the rules and are not willing to try new things, take risks, or experiment with a different approach. You’re comfortable rather than hungry; or you’re not ready for success. You are looking for the cheapest option, not the best. You’re looking for shortcuts to improve your business or “game” Google by using “black hat” SEO techniques. You are not willing to roll up your sleeves and put hard work into your product to achieve results. You’re not invested in your company’s success—whether you’re the CEO or not. You’re not interested in achieving maximum results from your online marketing strategy. You think SEO is a one-time fix, rather than an ongoing process that builds better results the longer you work on it. You don’t have additional funds to invest in your website or online marketing. 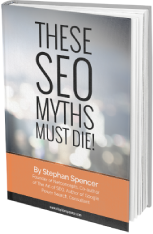 You’re not willing to allocate a budget for SEO. You don’t deal well with constructive criticism. You’re looking to reduce your online marketing budget by getting “free” organic traffic. You’re not interested in delivering incredible value to your customers. Getting started is simple, just fill in the simple form below for a no obligation consultation to see if we are a match.